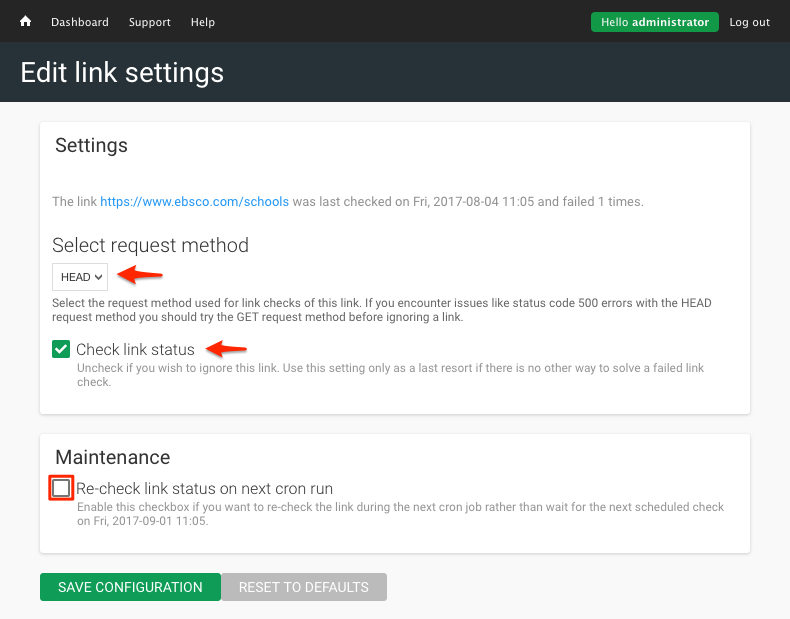 The Link Checker scans your website every hour to uncover broken links and any links which return 403, 404, or other general errors. The Link Checker scans your website every hour to uncover any links which return 403, 404, or other general errors. The results of the most recent scan are displayed when you click on the 'Link Checker' tile from the Dashboard. This tile can be found under the 'System Configuration' tile.